The following is a guest post from Georgetown medical student Kenny Witmer, who visited Mokhotlong for several weeks in April. 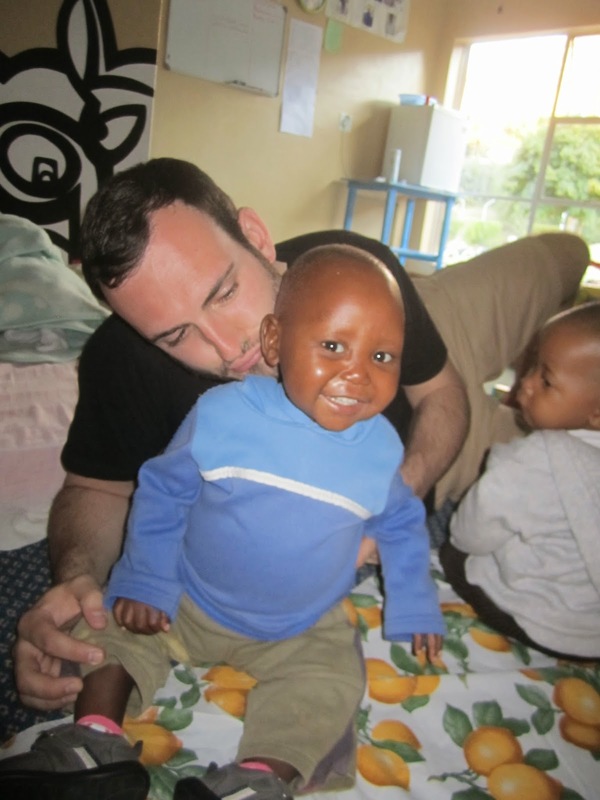 Dividing his time between the Mokhotlong Government Hospital, the TTL Safe Home, and Outreach visits, he put his medical training to practice and gained valuable cross-cultural experience. This succinct phrase, uttered by a physician in Mokhotlong’s government hospital, was said humorously to explain his lack of punctuality on our second day. However, it quickly became an inside joke on the team. Time was only the first obstacle that we adjusted to in Lesotho. Planning to meet at 8 likely meant beginning an hour later. Everything started late. Sadly, being late too often applies to the patients seen in the communities, clinics, and hospitals. In a country where the prevalence of HIV (largely co-infected with tuberculosis) is as high as 23%, many of the patients present to the hospital at such late stages of disease that they are in tragic physical condition. From this experience, I now understand more of what HIV/AIDS must have looked like when it first began to appear in the 1980s. Both children and adults, completely emaciated and malnourished, were often carried into clinic by their family members. However, more eye opening to us as students was the apathetic response of the physicians, staff, and even family members. This, of course, was not for lack of caring on their part. They were simply desensitized to a patient presentation that was so commonplace in both hospital and community. Although there is certainly a shortage of resources in the hospital and clinics here, the physicians are trained to do more with less. I could not imagine hospitals in the US functioning without basic labs, EKGs, oxygen, or CT scanners. However, care here is relatively affordable, and most medications are available. More commonly, the causes of advanced presentation include an inability to gain access to the clinic/hospital and a lack of education. Often, the patients live incredibly far from the hospital, and many still rely on traditional healing methods. What pass for roads here are often insurmountable even with off-road vehicles. They don’t call Lesotho the “Mountain Kingdom” for nothing. In more recent years, numerous organizations have made huge strides in halting the HIV epidemic in Lesotho. As a future Urologist, I was excited to participate in a circumcision clinic with the physicians at the Mokhotlong hospital. Circumcision, itself, has been shown to decrease the spread of HIV by 60%. Each male volunteer also underwent HIV testing and counseling prior to the procedure. However, even with treatment programs and more available medications, the prevalence remains high. HIV/AIDS is the leading cause of death at 33%. So, how can we intervene before the patients present so late in the disease process? This is where Touching Tiny Lives excels and targets the community’s most vulnerable population: children suffering from the terrible triad of HIV, TB, and malnutrition. I was humbled by my experiences with the program and blessed to be able to travel out into the communities on site visits. TTL literally goes off-road to bring screening and early intervention to the community while supporting mothers and families in need of food and HIV medications. Additionally, during TTL’s Outreach efforts, education and primary prevention are priorities. By identifying vulnerable children early, TTL has already prevented numerous children from presenting to the hospital in the later stages of disease. For those children who are in need of extra support, the Safe Home on site is full of loving Bo’M’e to nurture the children back to a healthier state of well-being. Afterward, these children continue to be followed closely by the Outreach staff to ensure continued progress. First, be willing to go the distance to reach families who don’t have adequate access. If the families cannot afford food, they cannot reach your clinic or pay for medications. Second, prevent the problem by educating the mothers and the communities. Simple topics such as nutrition and developmental milestones can go a long way. Third, support and love all the children that are vulnerable regardless of the circumstances. A child with a frustrating family is the one that ultimately suffers. And lastly, find those that are in need of support early and intervene. Let’s not be late in Lesotho.